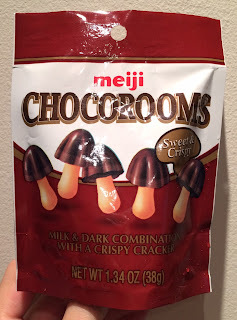 My husband found "Chocorooms" at the supermarket. 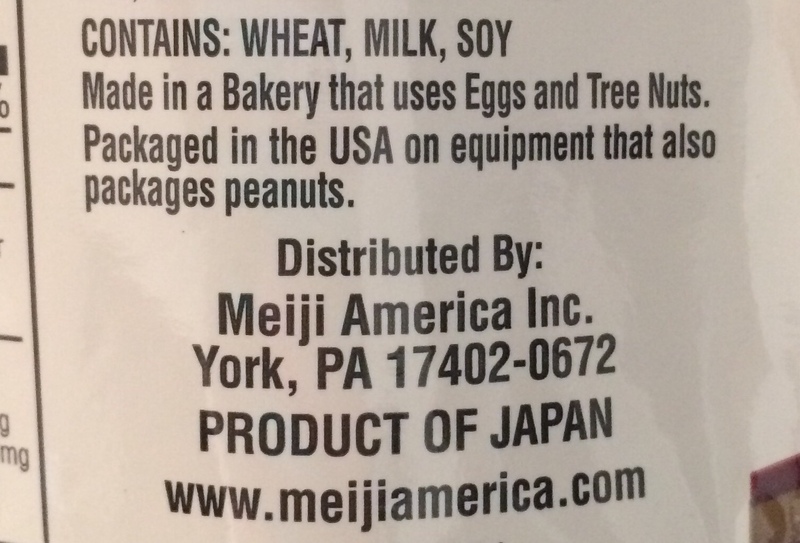 It's displayed by the cashier and until he mentioned, I didn't notice this snack. 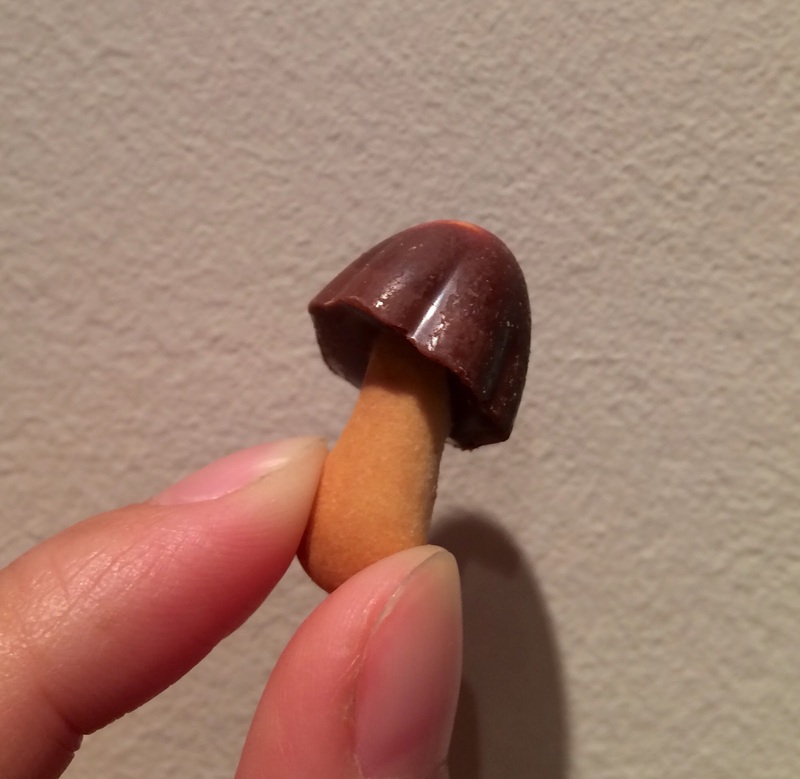 As you might have noticed, it's a famous chocolate snack in Japan and it's called "Kinoko No Yama" produced by Meiji. 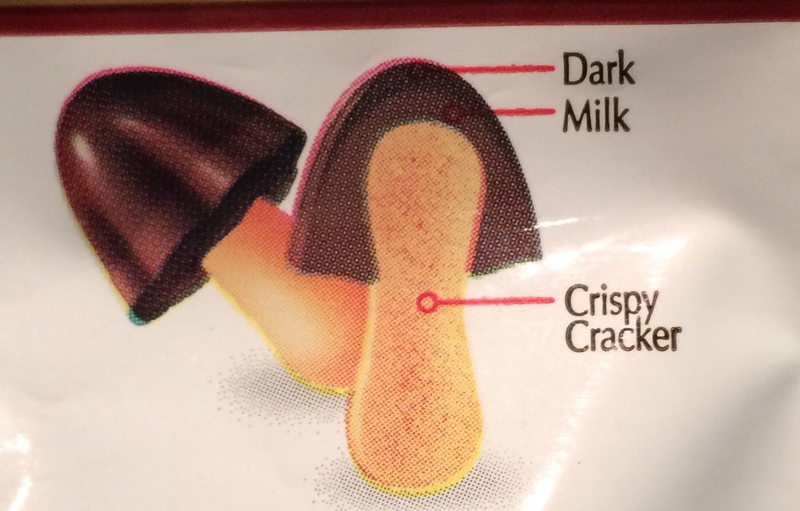 "Milk & Dark Combination with a Crispy Cracker"
On the back, there's a graphic explanation of this snack. 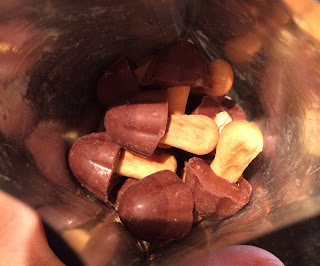 Dark chocolate over milk chocolate attached to a crispy cracker. 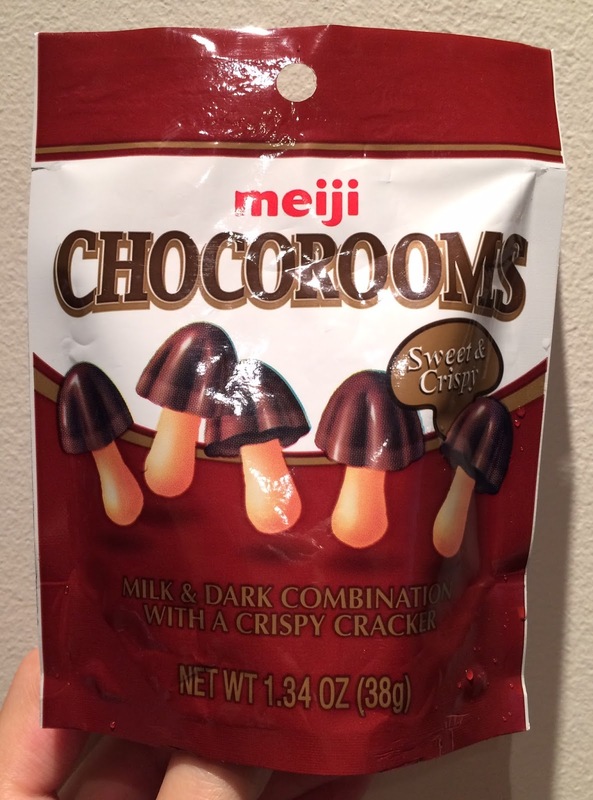 They looked and smelled the same as Japanese Kinoko No Yama. In the photo, it's a bit difficult to see but there's an layer of milk and dark chocolate on the pileus. 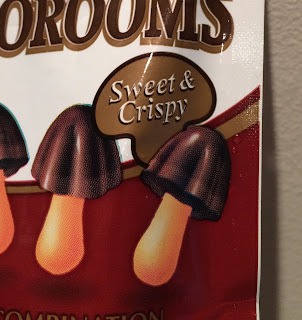 They tasted the same as they looked, and it's no wonder when I read the package carefully. 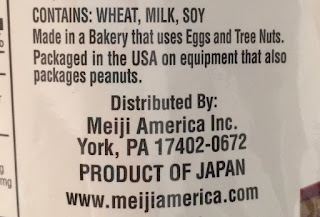 Distributed by: Meiji America Inc.
Other Kinoko No Yama flavors. Kinoko No Yama "Bitter Chocolate"
Kinoko No Yama "Creamy Pumpkin"
Kinoko No Yama "Choco Banana"
Kinoko No Yama "Milk & Caramel"
Kinoko No Yama "Velvety Kinako"